​Jonathan graduated from UC Berkeley in 2014 and started his career in economic consulting. He now works at Uber in Data Science on the Public Policy team. Through his experiences working as a pro-bono management consultant through The Berkeley Group, he developed a passion for collaborating with social sector organizations to affect greater change. This inspired the founding of Delta Analytics which bridged Jonathan's interests in data and social impact. Outside of his work with Delta Analytics, he enjoys reading, music, and fences foil. Nominally Irish, Sara spent her childhood in Africa, growing up in South Africa, Swaziland, Mozambique, Lesotho and Kenya. She believes in empowering nonprofits to use data for good. She regularly teaches machine learning courses to the wider community, and will be in Nairobi, Kenya this summer helping build technical capacity in communities around the world. Her research interests include machine learning transparency and fairness, audio processing and unsupervised learning. Her prior experience in industry includes working as a recommendation engineer at Udemy, and working on anti-trust models and analysis as an economic consultant. In her spare time she loves running, exploring the coast of California and eating scones while sipping coffee in Mountain View where she lives. ​Cecilia works on the operational aspects of Delta Analytics. She has a background in economic consulting and in law; perhaps unsurprisingly, she is especially interested in the economic analysis of judicial processes and how data can be used to make legal ideas more robust. In her spare time, she travels, sings, and passively takes credit for cooking from a mix. Cecilia is a graduate of UC Berkeley and Yale Law School. Taylor graduated from UC Berkeley with a degree in economics and statistics. He currently works as an economist at Compass Lexecon. Takeo graduated from UC Berkeley in 2014 with a degree in Business Administration. He previously worked on the Strategic Finance team at Uber and currently works as a Product Manager at Dote Inc. While attending Berkeley, Takeo worked with a variety of nonprofits as a pro-bono consultant with Net Impact, where he found that there was a wide gap between expectations of how nonprofits should use data, and the resources that are readily available to them. Outside of work Takeo enjoys hiking and traveling. 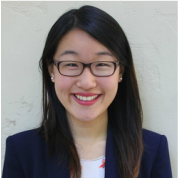 Anna graduated from UC Berkeley in 2014 with a degree in Political Science with a concentration in Empirical Methods and Quantitative Analysis. She is currently the User Acquisition Manager at a healthcare startup called Curology. She first became interested in pursuing data for good when she learned about the Camden Coalition in one of her public policy courses: Dr. Jeffrey Brenner stumbled upon the realization that the majority of healthcare costs in Camden were originating from just 10% of the population. Using this data, Brenner developed a technique called hotspotting that allowed him to identify these at risk individuals and follow up with preventative care, reducing overall healthcare costs in Camden by over 40% in a single year. From then on she was convinced that data was key to identifying and solving problems. After that course she became involved in Berkeley's Measure D, the nation's first tax on soda which passed in 2014, and conducted the initial public survey on the groundbreaking measure. She believes data can empower communities and transform lives. In her free time she likes to do yoga. Amanda works on problems in health outcomes research. She previously worked in economic consulting, focusing on designing surveys and modeling market structures. In 2017, Amanda helped co-found the Teaching Fellows program at Delta Analytics to increase accessibility to data education. Amanda is broadly interested in projects related to healthcare, immigration, education, and policy. ​Hannah is a Research Fellow at Columbia Law with an emphasis on employing text analysis and Natural Language Processing methods in economic topics. She has previously worked in economic consulting and graduated from UC Berkeley with degrees in Economics and Rhetoric. Hannah is passionate about finding quantitative solutions to problems in mental health, poverty, and criminal justice. In her free time she enjoys trail running and reading science fiction. ​Dr. Brian Spiering is passionate about teaching programming (primarily Python), Deep Learning, and Natural Language Processing (NLP). He is currently a computer science professor at the University of San Francisco. He was previously a Data Science Instructor at Galvanize. Brian is active in the San Francisco tech community through volunteering and mentoring. Sean is the project lead for Career Village. Anna is the project lead for Open Media Foundation. Anna graduated from MIT in 2009 with a degree in aerospace engineering. After working as a data analyst and data scientist with a few companies she found her way to Intel where she is researching deep learning algorithms for natural language processing. She is passionate about finding the most reliable and understandable way of letting an end user learn more about their data and loves applying these techniques for social good. Outside of work, Anna enjoys dancing, hiking, reading, and spending time with her husband and cats. 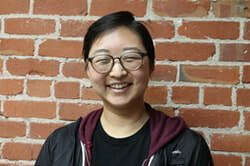 ​Jennifer is the project lead for Medic Mobile. ​Jennifer is a Senior Fellow in the Singapore Ministry of Health’s Office for Healthcare Transformation. In that role, she provides advice on the design and evaluation of systems-level innovations in the promotion of good health, prevention of illnesses, and the delivery of care. She also does pro bono consulting on success metrics, program improvement, and program evaluation. Areas of focus include health, education, job training, and housing. Previously, Jennifer held a variety of positions managing analytics for healthcare organizations. She received an undergraduate degree in economics from Harvard University, an M.Sc. in Economics from the London School of Economics, and an MBA from the University of California at Berkeley. In her spare time, she likes to read and travel. ​Aniruddha is the project lead for Mission Economic Development Agency. Ani grew up in Kolkata, India, and received graduate degrees in economics from the Indian Statistical Institute and Northwestern University. He currently lives in Berkeley and works as an economic consultant in Oakland, where he oversees projects related to antitrust litigation, and mergers and acquisitions. He is passionate about pushing cities to build more housing, so that more people can experience the joys of living in a vibrant metropolis. In his spare time, he enjoys going to the theater, cooking, woodworking, and walking around listening to podcasts. If you spot him staring at a plaque on the side of an unusual building, come and say hi. He might tell you a long story about a "fascinating" piece of trivia that he just learned. Hannah is the project lead for BUILD. Hannah is passionate about harnessing data toward social good, in areas such as poverty, mental health, and public policy. Hannah currently works as an Analyst at Analysis Group, an economic consulting firm. In her free time she enjoys trail running and reading science fiction. Alice is the project lead for City Year. Alice has always had an interest to learn more about how she could donate her time and skill to make an impact in the space of education, women and underprivileged children. This notion has led her to volunteer as a prject lead for Delta Analytics. Alice currently works full time at Genentech as a Senior Business Process Manager. In her free time she enjoys traveling, hot yoga and running. Sara and Steven are joint project leads for Rainforest Connection. Sara is a Data Scientist at Udemy, an edtech company devoted to lifelong learning. She is the Executive Director at Delta. She loves applying deep learning technology for good. Steven and Sara are joint project leads for Rainforest Connection. Steven is passionate about the environment and thrilled to see Rainforest Connection using machine learning to make an impact. Steven works full-time at Stitch Fix as a data platform engineer, and likes to play guitar in his free time. Andrew is the project lead for Samasource. He is our first project lead that also works with our grant recipient full time as a project manager. Andrew is passionate about leveraging data to increase efficacy of social sector strategies. Andrew currently works at Samasource, managing projects in Kenya, Uganda, and India, while also tying Samasource’s business operations data to impact metrics. There are very few activities Andrew loves more than eating avocados. Karla is the project lead for Botanic Gardens Conservation International. Karla is the PL for BGCI and is looking forward to contributing to the future of trees on our planet. She is an independent contractor who works often with HyperArts Web Design building tools for different types of companies. She has an MBA and is interested in all kinds of things. Ajay is the project lead for TechnoServe, a non-profit which is a second time around Delta Grant Recipient. Ajay is passionate about leveraging data to create impact beyond his day job at Google. Ajay is in product marketing at Google, working on the Cloud business. In his free time, he enjoys trying new wines, tennis, hiking in the Bay Area, and baking cakes. Roberto is the project lead for Social Justice Collaborative. Roberto is enthusiastic about making the world a better place, both finding data driven solution to social impact problems and also helping people along the way. Roberto works as a Senior Data Scientist at Netflix. He was previously on the data science team at Stitch fix, and he enjoys watching movies and shows, playing video games and going out with friends in his free time.